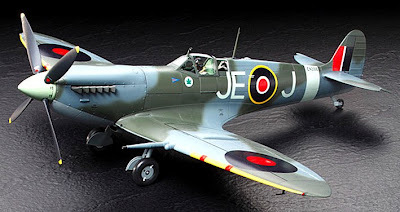 We were talking Spitfires in mid-September, when we saw that Tamiya was showing its brand-new 1:32 scale Mk IXc at the Tokyo Hobby Show. And now the little beauty is officially on release. As the pics above show, the Spit is loaded with mouthwatering detail, in particular the 12-cylinder Rolls-Royce Merlin engine. The engine cowling panels are pretty much to scale and to achieve this are just 0.4 mm (0.01 in) thin. You can remove them easily to show off the Faberge jewel-like Merlin that Tamiya has crafted. There’s also a highly-detailed cockpit and a neat little 16-page booklet, packed with reference pics taken by the Tamiya team when they were researching the model. 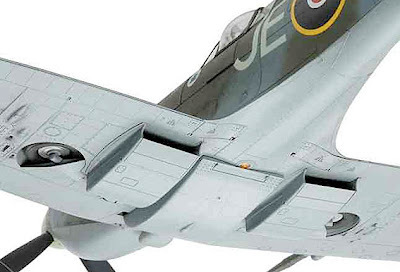 The aircraft is marked JE-J, which was the Spit flown by Royal Air Force ace James ‘Johnnie’ Johnson, and Tamiya’s sculptors have done a pretty good job in creating a fair likeness of him to 1:32 scale. 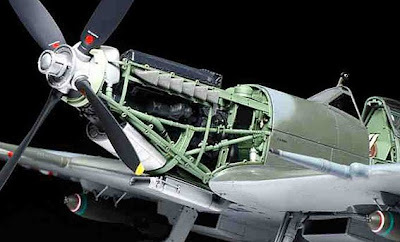 The Mk IX is pretty much SMN’s favourite Spitfire, so the Tamiya kit will be given a workout in the near future, if only to check Tamiya’s ‘most accurate yet’ claim. 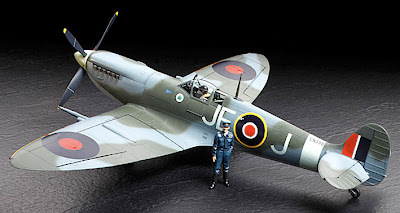 The Tamiya 1:32 Spitfire will be available from stores and online suppliers very soon. Meantime, if you can’t wait - or would simply like to graze a Spit or three - there’s a tasty lineup for you here.